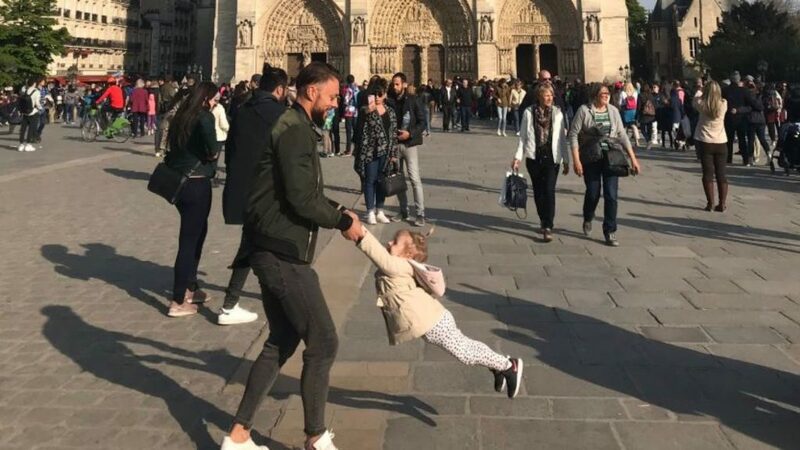 An American tourist who captured a heart-warming photo in front of the Notre-Dame less than an hour before it caught on fire is searching for the man and child in her picture. Brooke Windsor, 23, is appealing for help to find the man and child she snapped a picture of on Monday afternoon. She believes they are a father and daughter, and regrets not approaching them to ask if they wanted the photo. I took this photo as we were leaving #NotreDame about an hour before it caught on fire. I almost went up to the dad and asked if he wanted it. Now I wish I had. Internet if you have any magic, help him find this! This photo is now a precious reminder of all that was lost and would be an amazing keepsake for this dad and daughter! Share it, let’s help him see it!